GEI - Electrician based in Bushey, Hertfordshire. 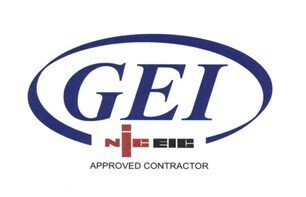 Hello my name is Mick and my company is GEI, I am a fully qualified electrician. I first entered into the electrical industry as an apprentice in 1978, since then I have covered virtually every aspect of electrical work in Commercial, Domestic and Industrial environments, new build, extensions, refurbishment, repairs etc; for royalty, the famous, infamous and the not so well known. My motto has always been "do it right, do it once". I have a group of trusted, like minded friends to help me out on the bigger jobs. If you want an electrician with over 40 years of unblemished experience for any electrical job, please contact me. Bushey, Watford, Radlett, Stanmore, Barnet, St Albans & Hemel &, Hertfordshire, W-N-NW London.